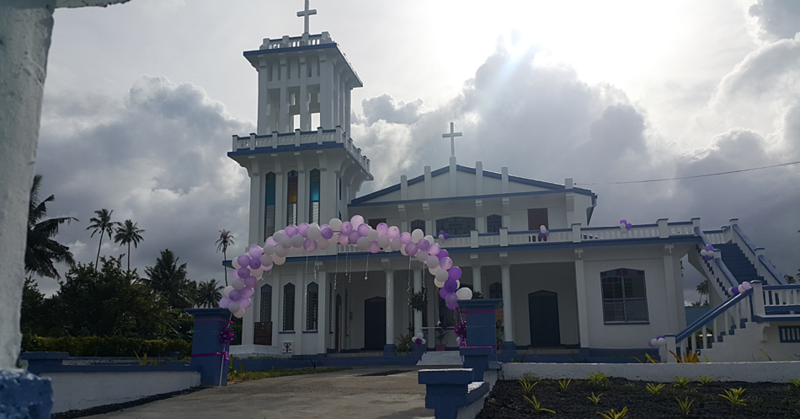 The Congregational Christian Church of Samoa in Savaia Lefaga celebrated the official opening of its newly renovated church building on Sunday. CCCS Chairperson, Rev. Elder Tautiaga Senara, and villagers of Savaia Lefaga residing in New Zealand and Australia were among some of the guests. Rev. Elder Senara cut the ribbon for the freshly painted church building. 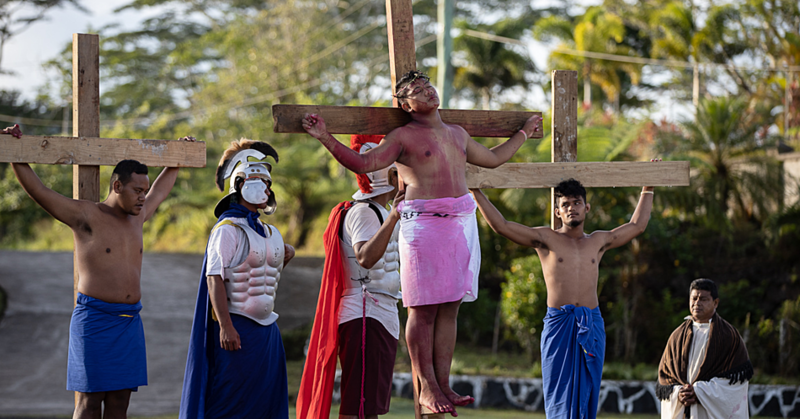 He congratulated the congregation for their determination to complete their renovation despite other commitments like the fa’amati and upcoming church annual general conference. The Chairperson later presented a gift from the CCCS assembly was presented to Rev. Elder Poka. The Chairman of the Savaia congregation, Tusanilefaia’ao Iosefatu Reti, said renovations work cost $492,000. This does not include a fence worth $35,000 that was funded by the children of Savaia Lefaga. Renovations work began in September last year after the congregation saw the need to repair the worn out ceiling and repairmen of the whole church building. The facelift for the church building includes change from wooden ceiling to metal and tile floor among other changes. According to Tusanilefaia’ao the last time the church had undergone renovations work was in 1988. He recalled at the time the current church minister, Rev. 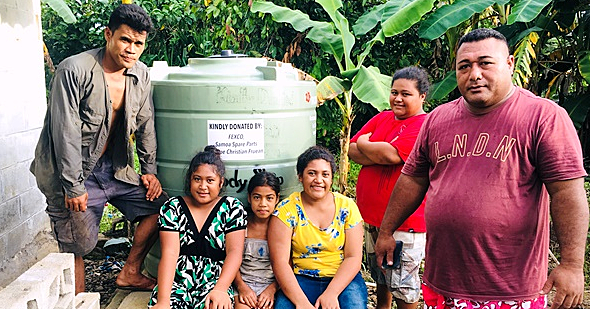 Elder Poka Maua and his wife Malo Maua had just started their work in serving the village. “This year marks 31 years since Rev. 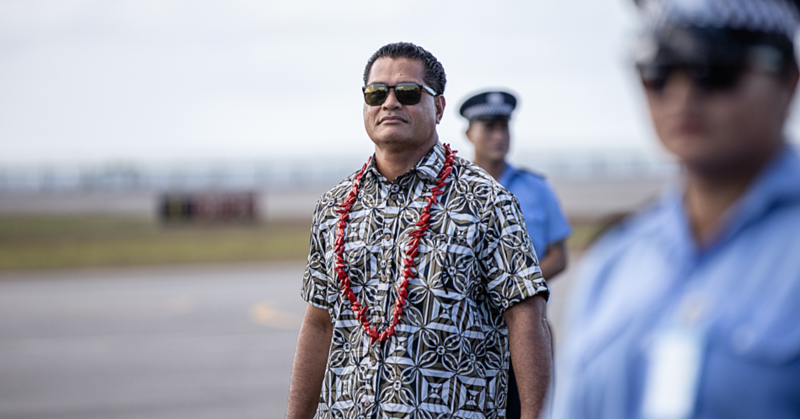 Poka and Malo came to Savaia,” said Tusanilefaia’ao. In thanking those that assisted in the renovations work, Tusanilefaia’ao acknowledged the support from everyone that contributed in their own ways to making the celebration possible.